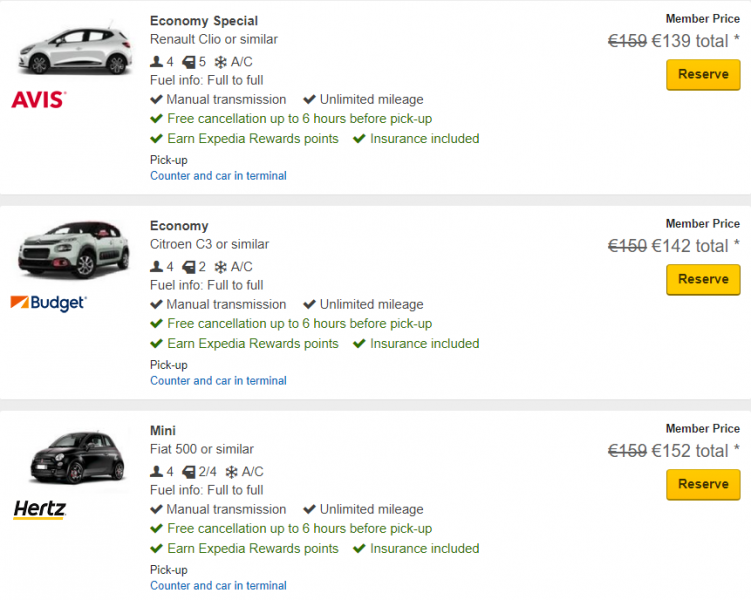 Expedia TAAP recently launched Car Hire Member Only Rates in Ireland. As Expedia TAAP Agents, now you have access to discounted prices on car hire! The total price includes taxes and insurance. Car hire company’s supplemental charges may apply. Details of mandatory or optional supplementary charges are set out in the car supplier’s rules and restrictions. Renting a car with Expedia TAAP is tailored to fit around you. Their holiday car hire packages offer flexible pick-up and drop-off options. Remember to book your car hire when booking your flight + hotel and you’ll have a hire car waiting for your client at the airport when they arrive. They can even return it to a different drop-off location when they’re done. You’ll get convenience alongside some of the cheapest car hire deals with Expedia TAAP. With the easy-to-use search function you can find the perfect hire car. Set your budget, choose the number of seats you need and even select the hire company you prefer. Special equipment such as sat navs, child car seats, ski racks and snow chains are usually available for reservation too. Looking for something specific like a convertible or SUV? Travelling with a family and need a people carrier? Even if you’re looking for a bit of opulence, Expedia TAAP has a great selection of luxury cars on offer. Whatever it is you’re looking for, you can tailor your hire car to you with Expedia. 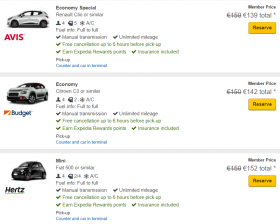 When you book a rental car with Expedia TAAP you can rest assured you are always getting a great deal.